It's ages since I last joined in with the Gallery but I always love seeing everyone's take on the weekly theme. I snapped this shot today and, when I saw the theme for this week is sun I knew I had to share it. 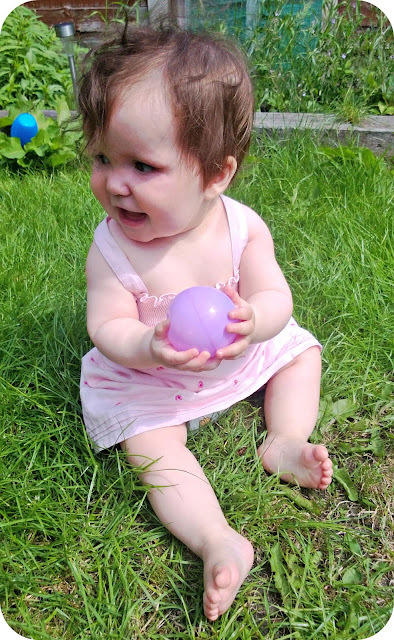 Is there anything more lovely than a baby enjoying the garden in a sun dress in the sunshine? Little Miss loved her time in the garden today. I'm keeping her out of the sun a lot but this was first thing, before it got too hot.